I find the new Cross Botanical designs to be a winner! The traditional slim body Cross formation is only enhanced by the floral patterns Henna designs. It is available in fountain pen, roller ball and ball point. The new offerings include Golden Magnolia, Purple Orchid and my favorite, Red Hummingbird Vine. 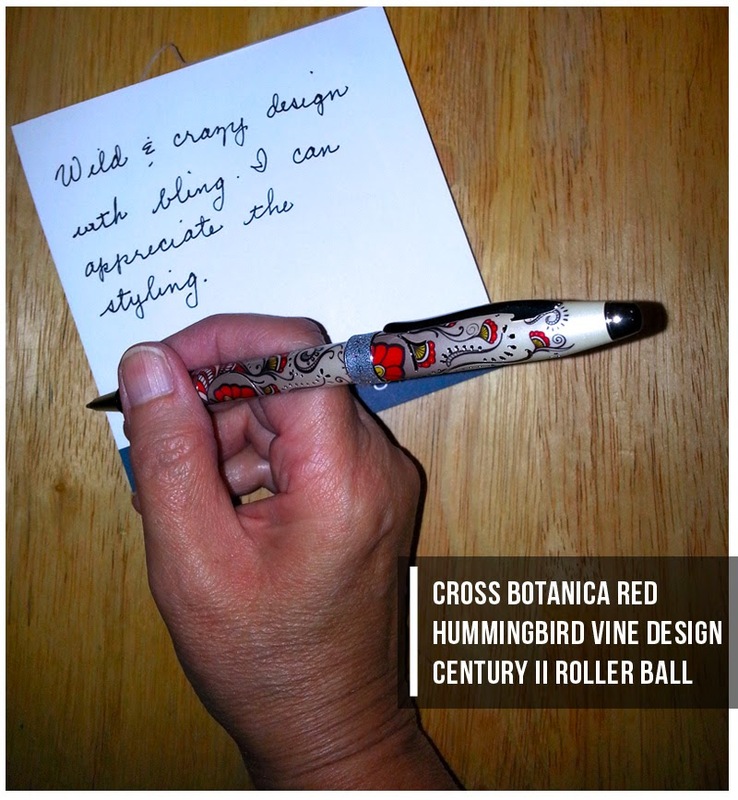 The Hummingbird Vine design is an informal term used for certain climbing plants whose flowers are pollinated by hummingbirds.They are often planted in American gardens to attract these birds. The Arabic and Indian heritage Henna designs are patterned over pearlescent white lacquer, giving the pen a look of a more expensive writing instrument, such as the Cross Pen of the Year group, making it appear to be a custom design. Custom design variations requires extra preparation and materials. They help make the pen unique and sometimes more valuable. The extra care Cross provides in crafting these pens, offer the same esthetic. The Cross functionality is not deterred by this new decorative casing. It still performs in the tried and true way with continued solid performance. It is a performance we have come to expect. The styling of this series provides an expressive way to show your design sensibilities by adding personal flair and the appearance of a little bling to your everyday writing activities!